Kalanchoe is a flowering perennial plant with fleshy leaves and tissues reminiscent of a succulent. They do not tolerate frost or cool temperatures and are grown widely as houseplants most of the year but can grow outdoors in temperate, frost free climates roughly USDA zone 8b and above. 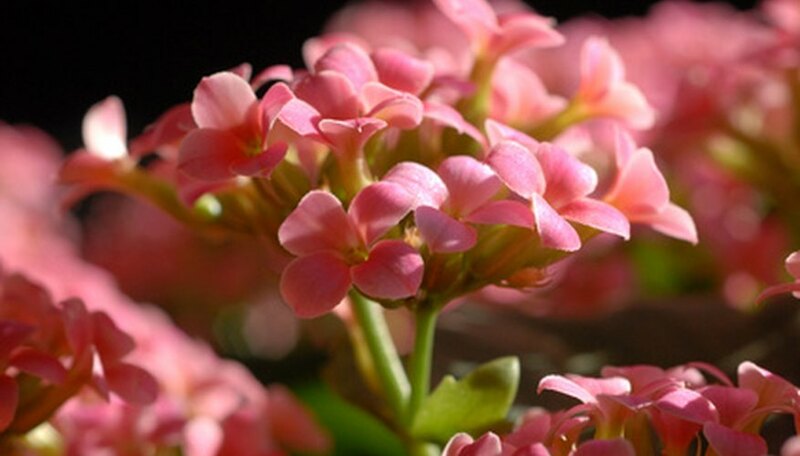 Kalanchoe has modest pruning requirements which consist mostly of removing dead flower heads. On small plants, do this with small scissors which are easy to maneuver and see what you are cutting. On larger, mature plants, pruning shears will do the job nicely. Trim away any broken, yellow, brown or damaged leaves as they mar the appearance of the plant and invite disease and pests. Cut the leaf off down at the base of its stem, just above where it connects with the branch. Deadhead the multiflowered bloom once each of the small flowers has unfurled and then died back. Cut the flower head stem down to just above a healthy pair of green leaves, leaving just an 1/8 inch of stem above the leaves and compost or discard it. Reduce the size of the plant or reduce legginess and increase fullness by pruning back the branches by several inches. Remove no more than one-third of the plant's tissues with such a rejuvenating pruning. Do not shear the plant, but cut branch by branch following the form of the plant to maintain a natural and roughly symmetrical plant.